The history of Jews in Poznań dates back to the first days of the city, though like so many other towns in Central and Eastern Europe this rich heritage was all but extinguished with the horrors that followed Hitler’s rise to power. Although first recorded mention of a Jewish presence is dated to 1364, it is commonly accepted that the first Jewish settlers arrived in the 13th century when Prince Bolesław the Pious issued a decree granting Jews his protection. As Poznań grew so did the Jewish population, and by the start of the 15th century it’s estimated that one in four buildings on ulica Sukiennicza - the de facto centre of the Jewish community - were occupied by Jews, a fact not lost on city planners who promptly renamed it ‘ulica Żydowska,’ or ‘Jewish Street.' An influx of German burghers and suspicious arsons marked a 15th century decline for Poznań’s Jews, though Poznań’s Jewish population stood around 3,000 in the early 17th century when racial tensions reached a nadir with the infamous 1736 trial of Rabbi Yossef, who was accused of ritual slaughter and publicly burnt at the stake. When the city fell under Prussian jurisdiction in the 19th century, however, Jews slowly found themselves accepted into the fold. Following the Great Fire of 1803 they were allowed to live freely throughout the rest of the city and as such ties between Jews and Germans strengthened. In fact, so solid were these relations that the Jewish community rallied around the Germans during the 1918-1919 Wielkopolska Uprising, a fact not forgotten by the local Poles. When Poznań was absorbed into the Polish nation in 1919 the Jews found themselves once more on the hard end of local feelings, and a significant number migrated west to Germany, where they expected greater tolerance. 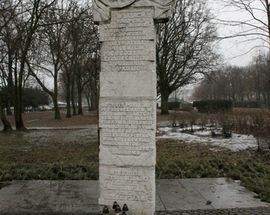 With WWII looming, Poznań’s Jewish population stood around 1,500 - a number that would vanish soon after the city was annexed into the Third Reich in 1939. The city was named capital of the Reichsgau Wartheland province, and a plan was hatched to rid the city of its Jews within three months. Deportations began on December 11th of the same year, with Jews packed into cattle trucks bound for the ghettos of Warsaw or Lublin, and on April 15, 1940, the fascist rag Ostdeutscher Beobachter gleefully reported the removal of the Star of David from the last synagogue left standing. Those who remained in the ghettos of Reichsgau Wartheland, as well as some poor souls from Austria, Luxembourg, and other countries - around 11 000 people total - were brought in to the city’s 29 labour camps to do back-breaking including building the Poznań airport and a highway connecting Berlin and Łódź (using Jewish tombstones as some of the building materials), digging what is now Lake Rusałka and Lake Malta, and liquidating Jewish cemeteries. Meanwhile, horrific medical experiments were conducted on inmates at the ‘Reich University’ Institute of Anatomy, with some corpses shipped off to the Natural Museum in Vienna to become part of an anti-Semitic exhibition. The labour camps operated until August 1943, at which point prisoners were sent off to the Auschwitz death camp. 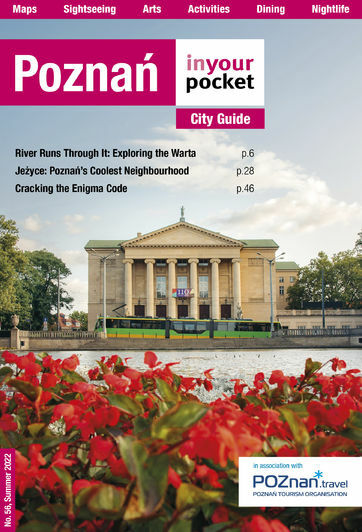 Indeed, Poznań was something of a model Nazi city, and on October 4, 1943, Heinrich Himmler gave a sordid speech to his Nazi cronies about the extermination of the Jewish people. A small number of Jews survived in hiding, and after the war several hundred actually returned to re-settle in the city. However no effort was made by the government to re-establish Jewish culture, and the subsequent anti-Zionist policies of the post-war communist government saw the number of Jews dwindle to well under a hundred. The Nazis were meticulous in their destruction of Jewish heritage and traces of it are few and far between today. 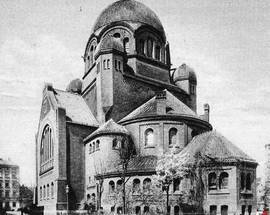 Rather miraculously, however, Poznań's New Synagogue (ul. Wroniecka 11A) survived the war by being converted into a swimming pool and rehabilitation centre for Wehrmacht officers. The 'swimagogue' (as it was cheekily known) was returned to the Jewish community in 2002; however, disrepair forced its closure and plans for its restoration have stalled. In 2008 the square outside the synagogue was named in honour of Rabbi Akiva Eger, renowned Talmudic scholar and halakhic decisor commonly accepted as Poznań’s greatest rabbi. The early 19th-century Jewish cemetery on ul. 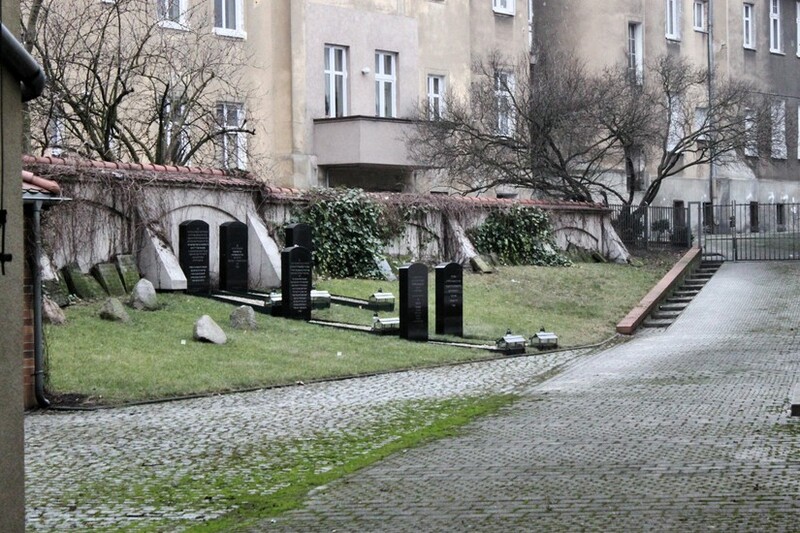 Głogowska was destroyed and its tombstones used to pave roads during WWII, after which the area was incorporated into the Trade Fair grounds. In recent times, however, steps have been taken to commemorate its existence with a memorial site on ul. 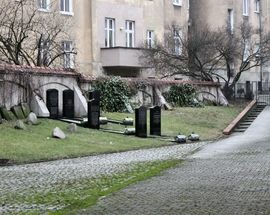 Głogowska 26A, which consists of the reconstructed graves of Rabbi Akiva Eger, his wife and son, and two other Poznań rabbis; unfortunately, visit is by previous arrangement only, though you can peek through the gate anytime. 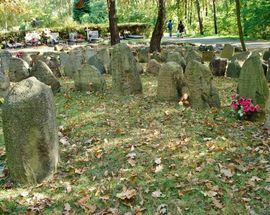 Matzevahs recovered from various streets have been placed in a lapidarium at the Miłostowo Cemetery (ul. 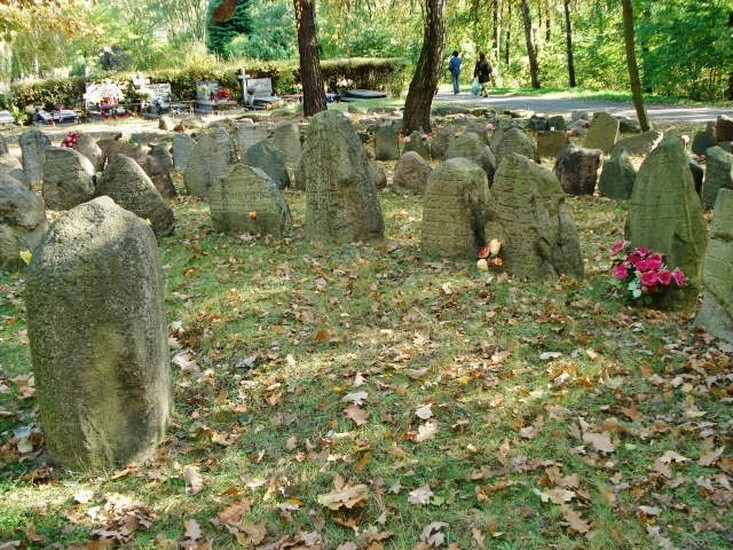 Gnieźnieńska) alongside mass graves holding the remains of around 1000 Holocaust victims. 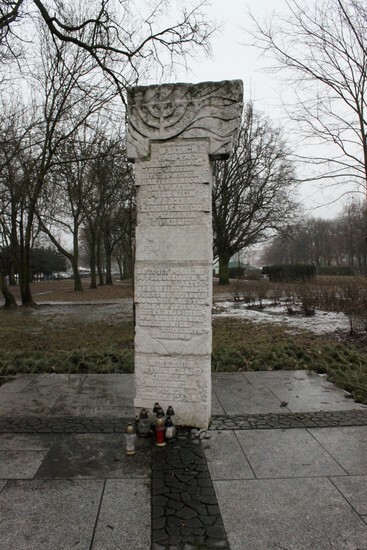 A memorial to the inmates of one of Poznań’s Nazi labour camps stands at what is now the Righteous Among the Nations Square (next to the Multikino, ul. Królowej Jadwigi 51), and commemorative museums exploring the horrors of forced labour and extermination are the Wielkopolska Martyrs Museum, located in Fort VII, a former death camp, and the Martyrs Museum in Żabikowo. While on ul. Żydowska, keep an eye out for the former Salomon Beniamin Latz Home for the Elderly and Infirm (ul. Żydowska 15/18). Established in 1908 after the Latz foundation swapped properties with the Jewish Community, the home took the place of three synagogues that used to exist at the address; meanwhile, the foundation’s former hospital at ul. 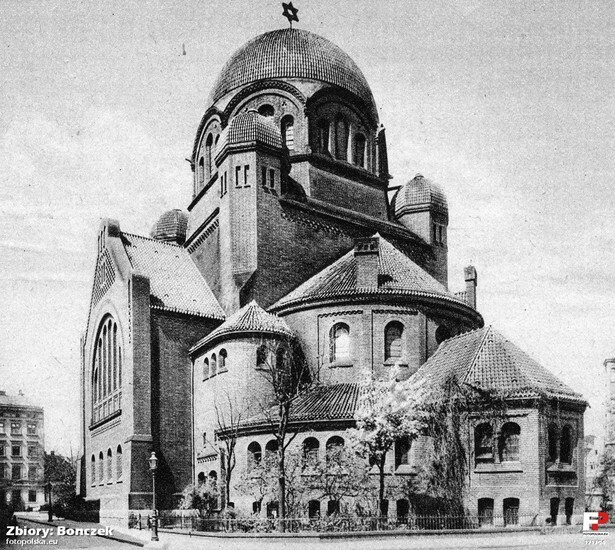 Wroniecka was torn down to make room for the New Synagogue. If you manage to get in (the building is currently residential), traces of the in-house synagogue’s balcony can be seen in the stairwell. Another building of note is the former Jewish Library at ul. Żydowska 32, founded in 1904. On the same street, the unassuming Church of the Most Holy Blood of Jesus (ul. Żydowska 34) is a testament to the vicious anti-Semitism that plagued the city for much of its history. As the sordid story goes, in 1399 several local Jews managed to get ahold of Christian sacramental bread and desecrated it by placing it on a table and stabbing it with a knife, whereupon blood burst from the wafers. Terrified, the Jews attempted to bury the hosts, only to find that the stubborn things would magically unbury themselves and float about in the air. When a young shepherd found them floating above the marshes, a chapel was erected at the site - later rebuilt as the Corpus Christi Church - and the perps were harshly punished. This fabulous yarn was passed down among the city’s Christian populace for centuries, and when a mysterious blood-stained table was found hidden in the building at ul. Żydowska 34 in the 17th century, it was immediately deemed to be the piece of furniture involved in the infamous act of sacrilege and carried to the Corpus Christi Church in a procession of several thousand. The building itself was transformed into the Church of the Most Holy Blood of Jesus; dare to venture inside and you’ll be greeted with an 18th-century fresco portraying the Jewish trio at their nefarious task assisted by none other than the devil. The only good thing we can say here is that an antique plaque referring to the profanation of the hosts, which used to adorn the church’s facade, was taken down in 2005 by the archbishop; better late than never. Lastly, a memorial to Jewish embryologist, physiologist, and neurologist Robert Remak can be found at ul. 23 Lutego 41/43, and the funky metal-strip statue situated outside the National Museum has surprising Jewish ties - though you wouldn’t know at first glance, it portrays Golem, the legendary creation of Rabbi Judah Loew ben Bezalel, who was actually born in this very city.